I love Instagram, I've had so many accounts and have followed heaps of people. Recently I found myself actually typing in my favourtie accounts just to make sure I was all up to date on the things they post! Instagram is such a creative way to show the things you're good at! You can find my Instagram here. 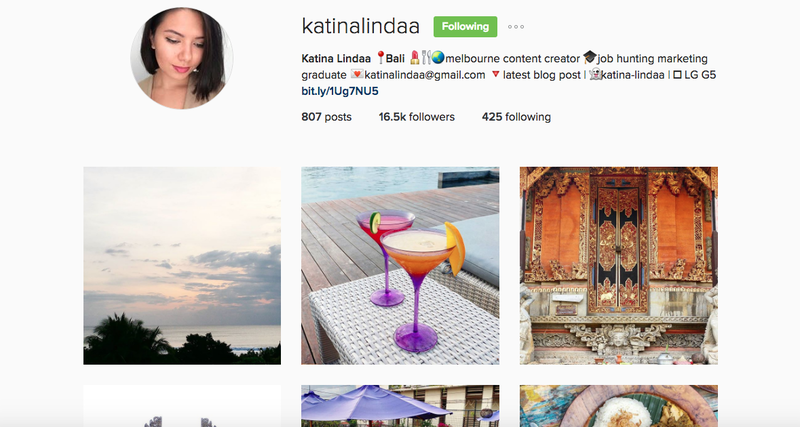 These are my favoutite Instagram accounts to follow! Stephstonenails! I love nail art! I think it's such an amazing way to express yourself and your creative side! 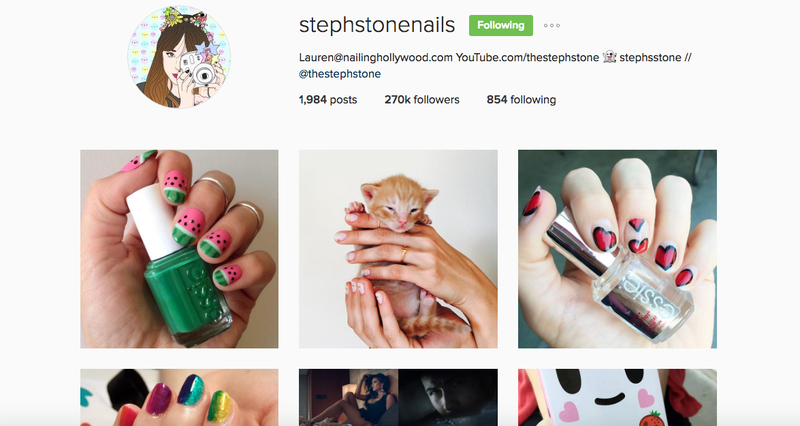 Follow her here for amazing nail art pictures! This account is so cool! I love great danes! I really want to own one when I have my own house! 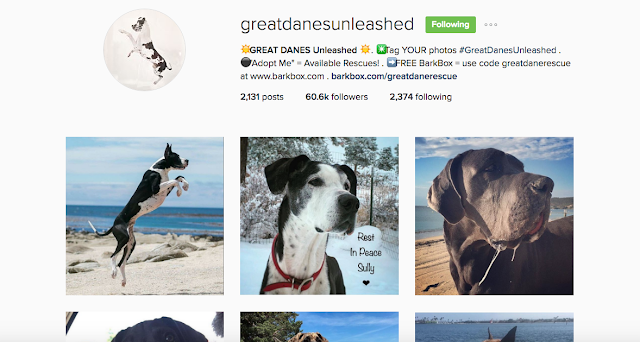 Greatdanesunleashed is a lovely account! Follow them here! 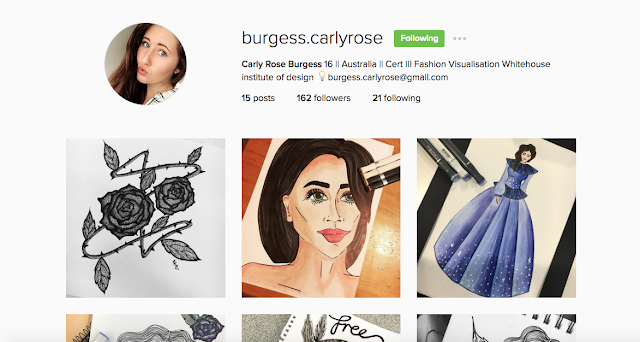 burgess.carlyrose is such a beautiful art account! When I first saw how amazing she is at drawing I was so stunned! I am absolutely no good at art so when I find people that can do cool original stuff I am so intrigued! Follow her here! 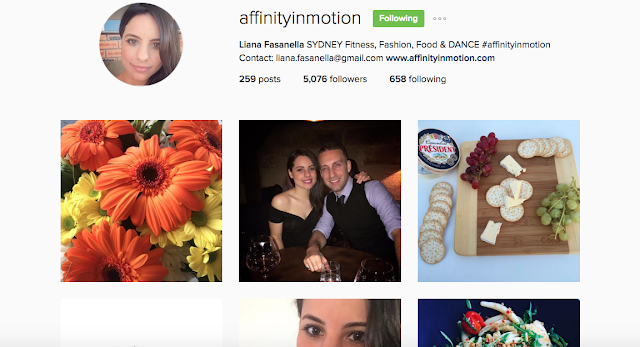 affinityinmotion is such a nice lovely girl! She posts lots of different things! My favourite being her inspiration posts and dance posts! Follow her here! 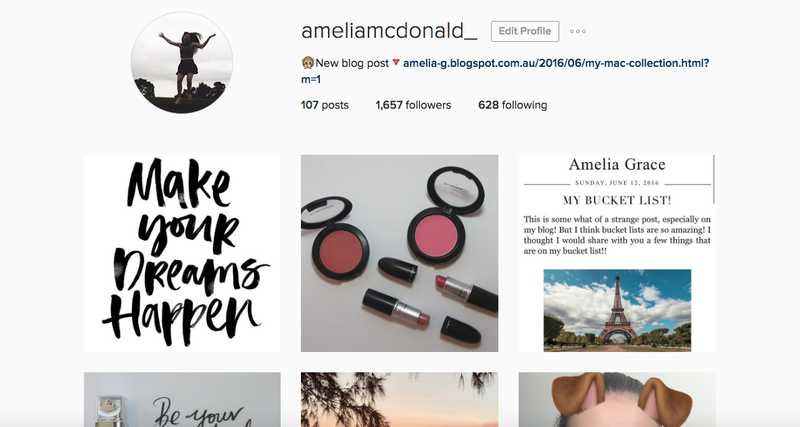 These are a few of my absolute favourite accounts to follow! I highly suggest following them! They are always posting cool things and your feed will look amazing! I hope you enjoyed this post! What is your favourite account to follow?